A lazy Saturday and an entertaining movie makes a perfect combination. And if you want to relish it, do tune in to Zee Cinema on 22nd October at 8 PM. Why should you listen to me and watch this film? The reasons are aplenty, and here I am listing a few of them. Hrithik Roshan and Shah Rukh Khan also had special powers in movies like Krrish and Ra.One respectively. But what sets Tiger Shroff apart is his age. At 26, he bagged a superhero movie as his third film while the others have had a longer run in films before their superhero ventures. Our very own superhero was not born with these powers but became a superhero by accident. A superhero at heart and and one who is courageous enough to fight despite being scared is what makes an ordinary man a true superhero. This superhero has no airs about having special powers and is very down to earth and humble. So, he has decided to meet you and save his beloved city of Amritsar with the World Television Premiere of his film, A Flying Jatton 22nd October, 2016 at 8PM (http://www.zeecinema.com). "After finishing his schooling at Modern School, Barakhamba Road and his under-graduation at Hindu College, Delhi, Mainak Dhar graduated from the Indian Institute of Management, Ahmedabad. He has spent two decades in the corporate sector - starting with Procter & Gamble in India. He spent eighteen years with P&G, fifteen of them outside India across the Asia Pacific region. In 2014, he moved back to India as the CEO of the India operations of a major consumer products multinational. A self-described cubicle dweller by day and writer by night, Mainak is also the author of over a dozen books, some of which have been bestsellers in India and abroad. These books have been translated into Turkish, Vietnamese, Japanese, French, German and Portuguese. He lives in Mumbai with his wife, Puja, and their son, Aaditya. When not at work or with his family, he can usually be found working on, or thinking about his next book. 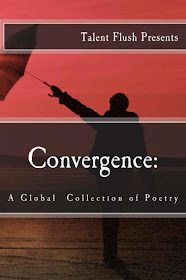 The first few pages revolves around corporate policies, ambitions, dreams and designations. Aadi is happy, he is ecstatic, celebrating his promotion with colleagues. He realizes he has come a long way in his career, stepping up the corporate ladder, and possessing a respectable position in his organization. Little did he know that the next morning would render all these meaningless. Every target he had tried to achieve, the spreadsheets which kept him awake long nights, and the innumerable meetings conducted to finalize business deals, would no longer hold an essence the following day. 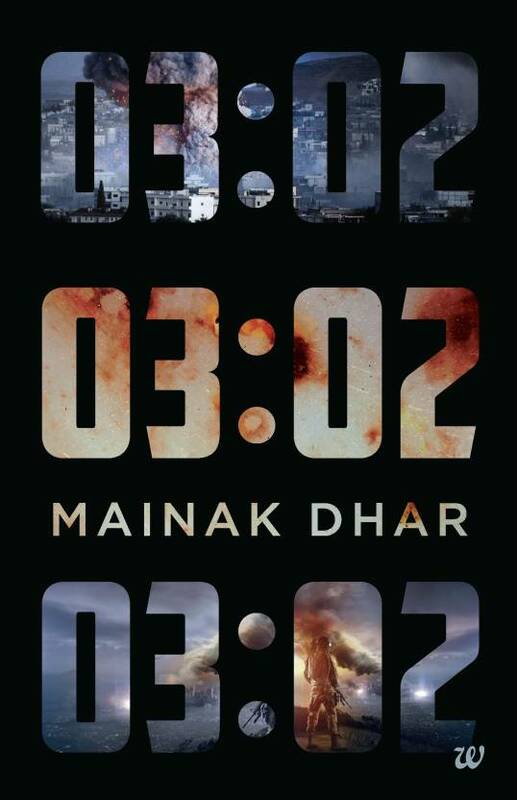 ’03:02’ by Mainak Dhar jolts you, shakes you, and makes you sit up and think. This book is an eye-opener for most of us. 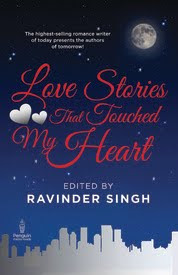 In fact, the blurb stands true when it states ‘This is our story’. How many of us use electricity and electronics gadgets on a daily basis? Most of us would raise our hands, isn’t it? Again, how many of us can survive without these means for even a single day? The thought itself is scary, something we would never imagine even in our worst nightmare. 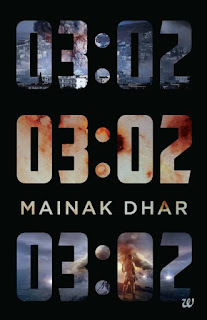 Mainak Dhar brings this fear to us through this paperback. The city of Mumbai all of a sudden faces the worst outage when electricity, mobiles, cars and other gadgets stop operating at 3:02 am on a Sunday, and nobody has any clue as to how this happened. Lives threaten to come to a standstill, and people have no idea when their devices will start working again. Food and water become the primary concern, and matters take a darker turn when goons start causing disturbances in the neighborhood. However, the worst is yet to come. Through sources, people get to know that this is a terror attack, and the terrorists have already set foot on their city. This is when Aadi steps in. He analyzes the problems in hand, and with his sharp mind, and help from others in the society, he chips in with able solutions. He even confronts the goons and terrorists, and knocks them off on a few occasions. It is good to see him take crucial decisions at times of need, and the society hailing him as their leader. However, I would have preferred if the author had focused more on the plot instead of Aadi’s heroics. Aadi turns out to be almost flawless, which dilutes the realistic tone of the novel to a certain extent. However, full credits to Mainak Dhar for the brilliant and unique concept and making us realize how much we have become dependent on technology. It’s as if the technological gadgets are controlling our lives, a thought we wouldn’t like to believe, and yet, is definitely true. '03:02' is a fiction, and we hope it remains so. 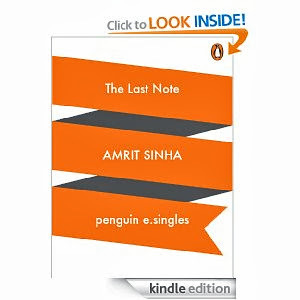 It is a mirror of the modern times, and for all enthusiastic book lovers, comes packed with its own buffet of thoughts.